For 25 years Leon Bellefleur was an elementary school teacher, developing his artwork during the summers and studying during the evenings at the Ecole des Beaux-Arts in Montreal for several years. In 1954 he was able to retire and pursue his art career full-time. Along with Albert Dumouchel, Jacques de Tonnancour, Louis Archambault and others, Bellefleur joined the Prisme d'Yeux led by Alfred Pellan, signing their manifesto in 1948 and exhibiting with the group. These artists were responding to the approach of the Quebec Automatistes, and called for freedom of expression. 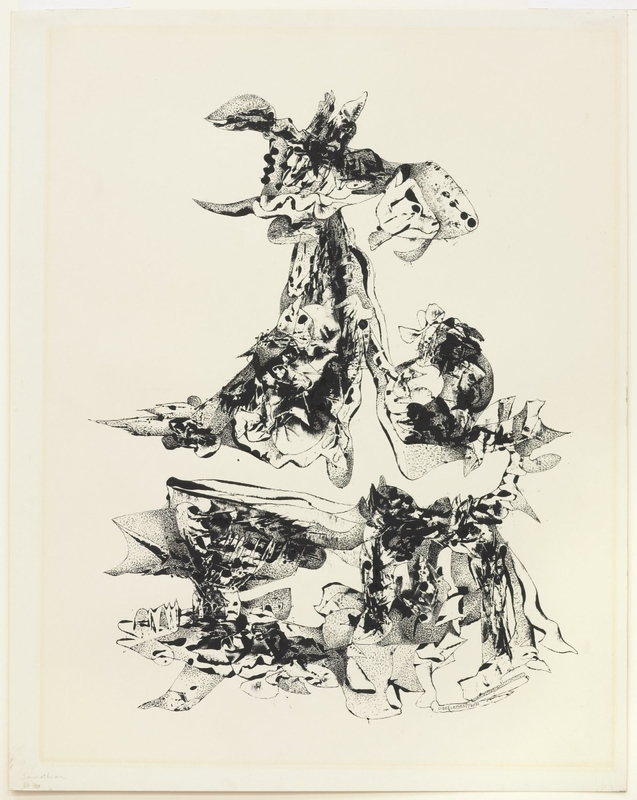 Through this association, Bellefleur became interested in the Surrealist preoccupation with the subconscious as a source of inspiration. Towards the end of the decade, he became interested in the work of Russian artist Wassily Kandinsky and the Spanish artist, Juan Miro. 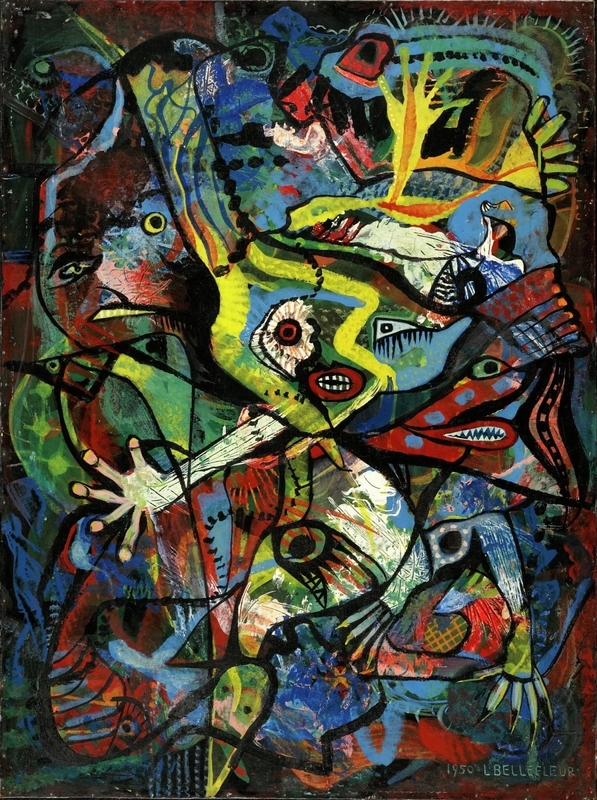 Fish in the City (1946) is a patchwork of colours and textures, representing a world of child's play where a fish can be bigger than a clown and a star lays on the ground. In 1947 he wrote, "Plea for the Child," an article defending the value of children's creativity and imagination. 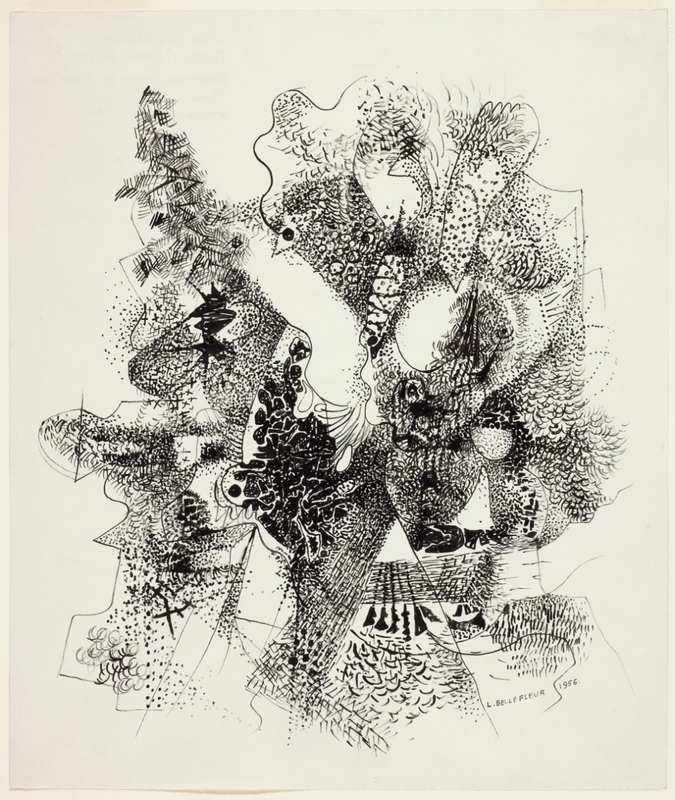 He also led the Prisme d'Yeux (1948), artists who were open to traditional expression and inspiration, and who were responding to the more radical ideological approach of the Automatistes.